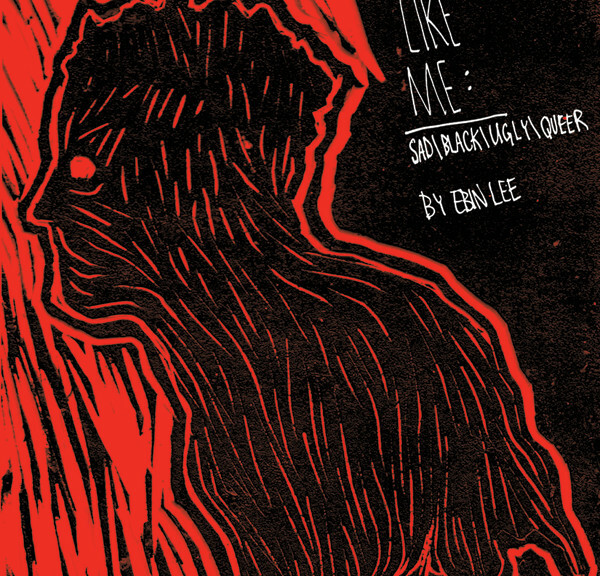 Ebin Lee’s impressive art in this first of a mini-series of books explores the intersectionalities of being black and queer, and experiencing depression, anxiety, fear and racism in a very white space–art school–in a very white city–Portland, Oregon. The title, A Wretch Like Me, originates from the hymn “Amazing Grace.” By exploring the wretchedness they feel, Lee’s artwork is the missing first part of the song line, the saving, amazing grace. Lee’s solid bold images resonate the multiplicities of things he feels. For example, a full-page image of a bed bug was created after Lee experienced a bed bug infestation while in school. In a recent talk at San Francisco Public Library, Lee shares how discovering his room was infested isolated him, made him fear people and their pity, at the same time Lee’s deep empathy made him feel afraid that he might have hurt people he cared about, by unknowingly spreading the bugs to them. The shame of feeling dirty translated easily to associating that “dirtiness” with class, poverty and race. In an art school with only two other black people, and with an eye towards Kafka, Lee suffers from the infestation at the same time he is treated as a contaminator himself–of white space. Lee moved to Portland from Chicago. “I never felt as black as when I came to Portland–I felt hyper aware.” Lee describes Portland as, “cute stuff, trees, fog, rain…” but once moving there, found whiteness and gentrification clouded all that. 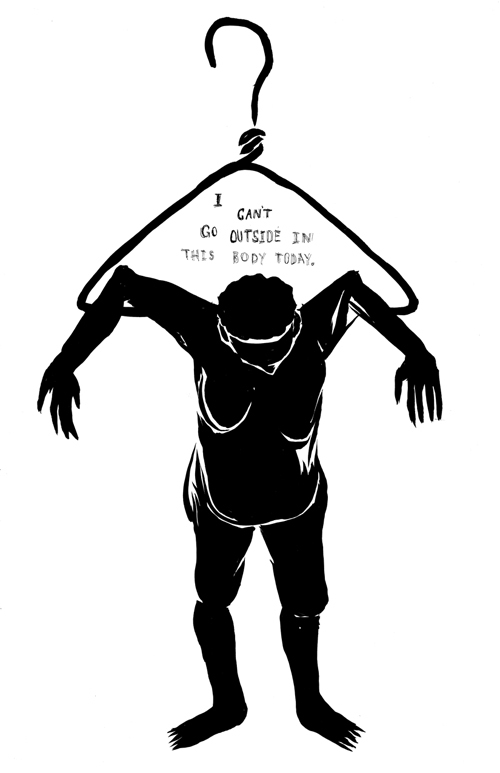 A work with text reading, “Can I touch it?” expresses rage at white hands touching black hair, yanking it up, to hack at it with pruning sheers, as if the hair was weeds. No one can live in a world like this without feeling depressed, fearful, ugly and angry. While these fallouts of racism and bigotry wash through these pages like rivers of ink, readers will find equal evidence of humor, bravery, empathy and insight. Ebin Lee’s fierce, talented art is the counterpoint of color every viewer of white Portlandia should read, a crucial read, along with Nia King’s Art School is Hell for queer students of color considering art school, and a necessary purchase for art school libraries everywhere.